Yes, it's true! A Giveaway! I have mentioned at least a couple of times that if I was a big and serious blog I would have a giveaway. Well, guess what? I'm still not a big or serious blog but the very beautiful people at Personal-Planner have offered me a GORGEOUS personal planner to give away to one of my very lucky (and also beautiful) readers! I know, I can't actually believe it myself. I am thrilled to pieces, especially because it is such a lovely, useful, practical, awesome bit of organisational goodness. So, why do I love this planner? It was founded by a husband who listened to his wife and made her something she couldn't find elsewhere. Isn't that romantic? You can totally personalise the planner to suit your needs - change the colours, change the internal layout, add important dates and choose your start date. You can design the front and back cover. Your family can totally star on the front (or your dog, you, whatever photo you choose). I love that. Or you can choose from one of the gorgeous designer edition covers, which are super sweet. It comes in 4 sizes. My personal favourite is the A5 size which will fit in my bag and is a handy size for carrying around. It's spiral bound, which means it can lay flat - another personal fave. You want one, right? I think you NEED one. 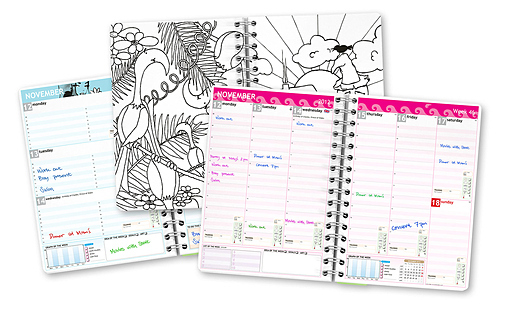 If you would like the chance to make up your very own personal planner to the value of $45 then enter below. Good luck! This giveaway is open to everyone. The voucher cannot be exchanged for money. 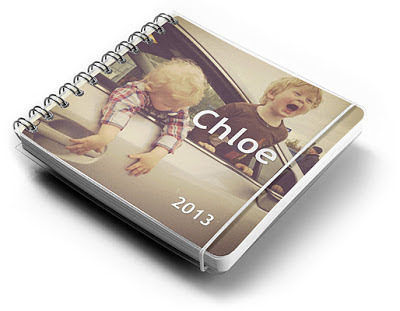 The giveaway is open now and will end on Thursday 24th January 2013 at midnight (Perth WST). The winner will be announced in this post by rafflecopter and on Facebook on Friday 25th January 2013. The winner will need to claim their prize within 3 days otherwise the prize will be redrawn. 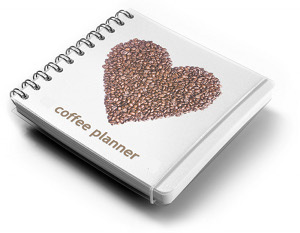 "Personal-Planner" provided me with a planner. The above is my true and honest opinion of their product. 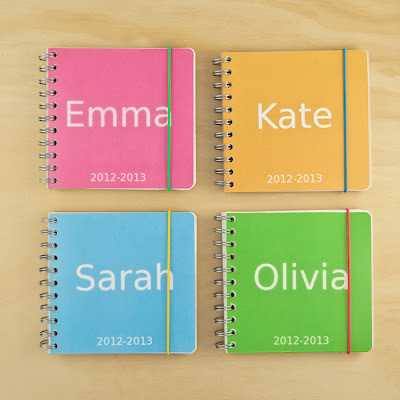 I covet these planners so much and i wish i had bought one this year - cannot justify buying one when i already have a 2013 planner, but if i win one i will switch immediately!